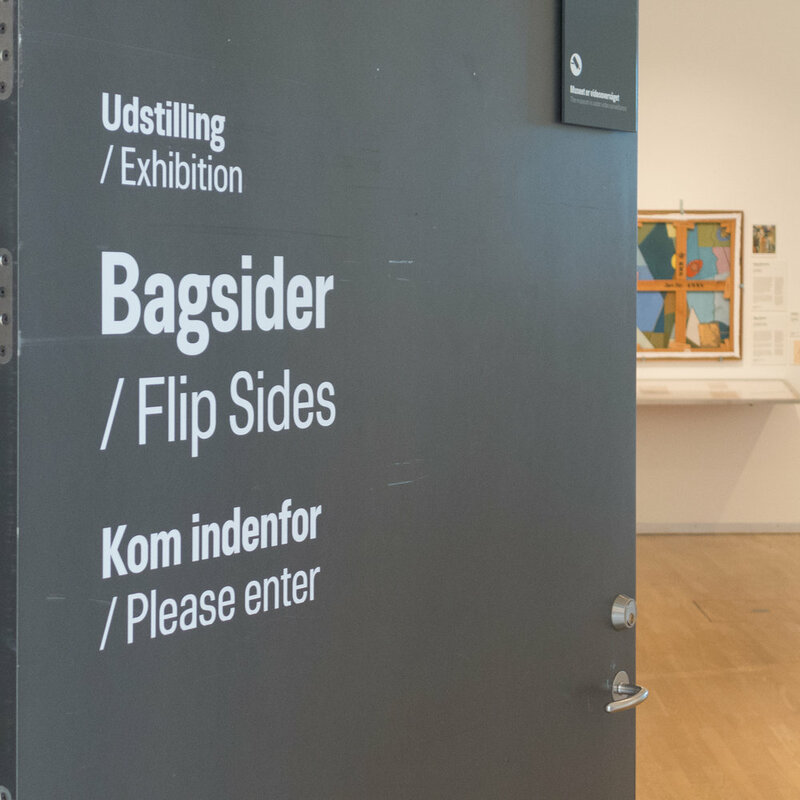 For the Golden Days Festival this year the theme was The B-sides of History so, for this exhibition, the curators at Statens Museum for Kunst took that literally and present the backs of paintings and drawings in their collection. 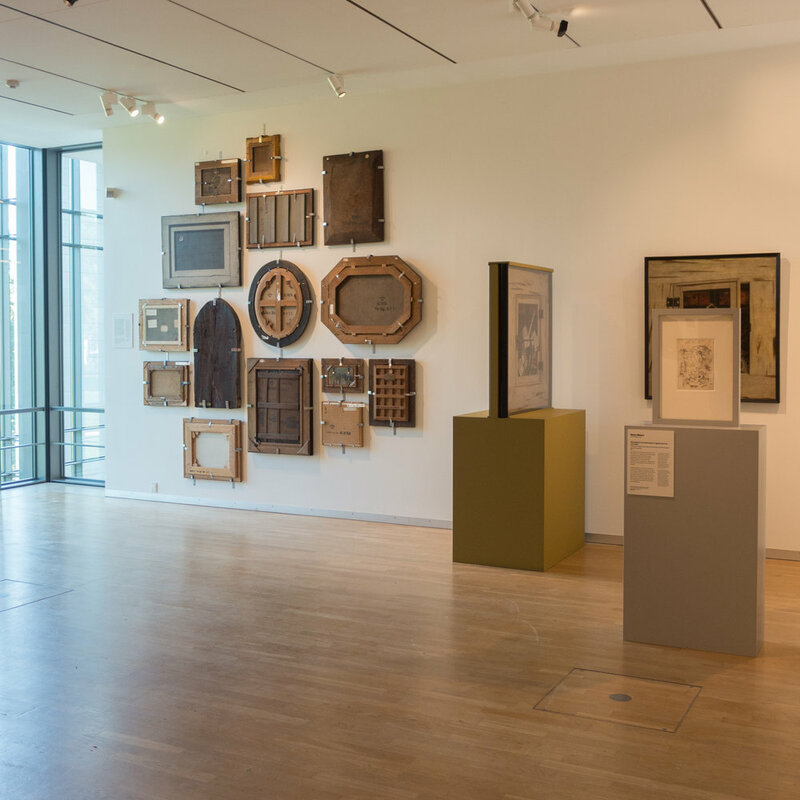 The exhibition is relatively small and shown in an almost-square gallery space just off the Sculpture Street with views out over the park so there is pleasant natural light and it is well worth spending time here to look at the works and read the well-written and thought-provoking labels and information panels. The first group looks at materials used to make a work of art and it is fascinating to see how considerable craftsmanship went into producing the ground for the painting or drawing particularly for paintings here on panels or on planks of wood but there are also examples of important studio techniques like pricking holes in an initial drawing so that pounce or black powder could be used to either transfer the outline or to reverse the image. 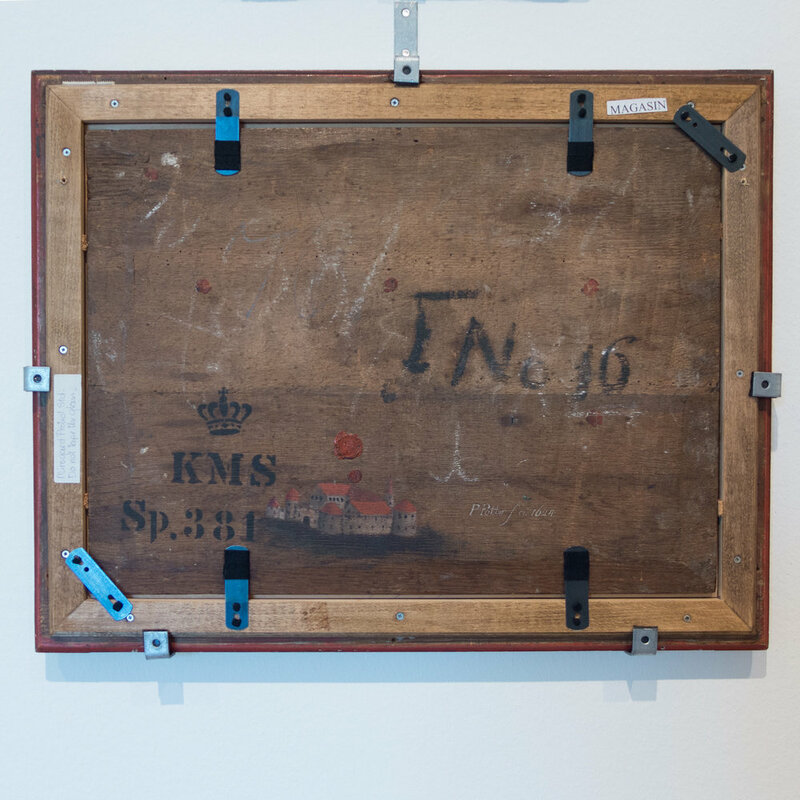 Several works show how a drawing or painting could be abandoned and the other side used for a different work. In a few examples the view of the back shows that both sides of a work were in fact to be seen - particularly for doors that covered an altarpiece that would have an image to be seen when the door was closed and a second image that was revealed when the door was open and it flanked the main central panel. 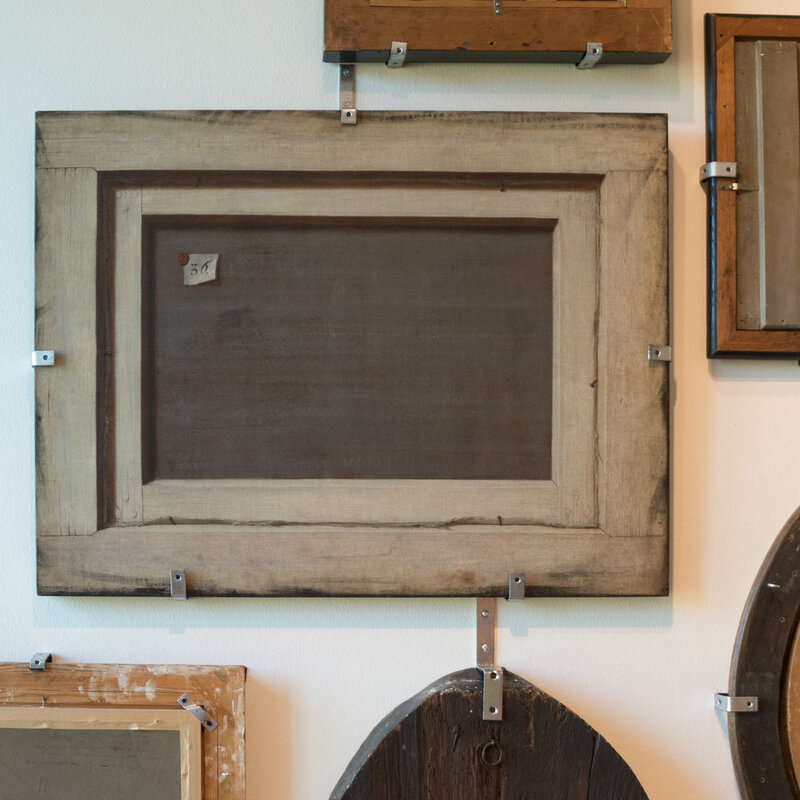 However several works play clever games with that idea so a work by Cornelis Gijsbrecht is the solid door of a cabinet but painted as if it was glazed and with the contents of the cupboard as an image and with some items painted as if they were stuck to the inside of the glass. The back of the door has a painting of the back of what was stuck to the glass. 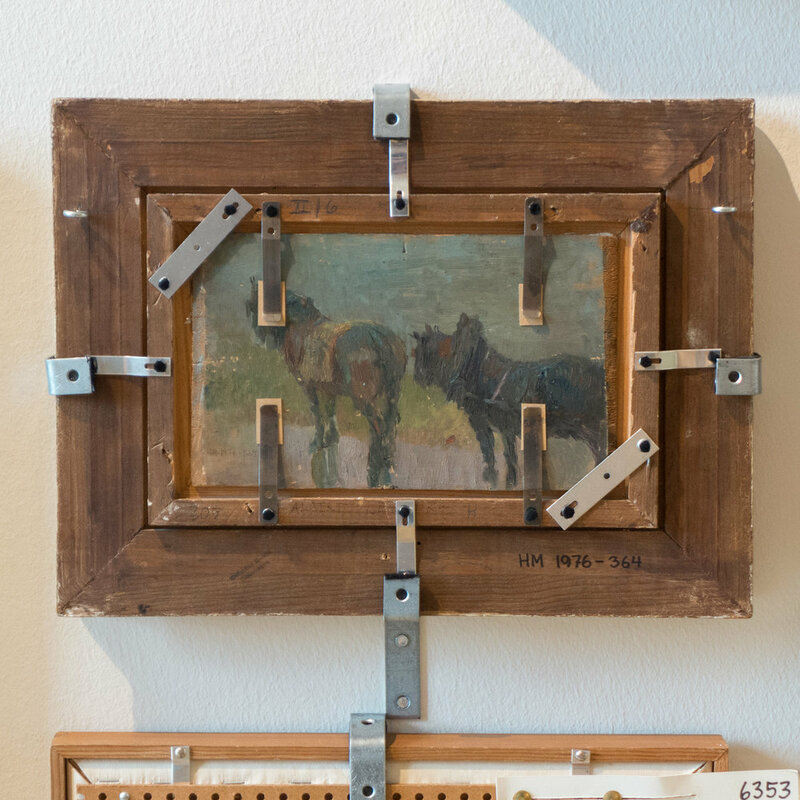 One work, also by Gijsbrecht, shows what appears to be the back of a unpainted wooden frame held with wooden pegs and with nails and the back of the canvas but the whole thing is painted. For the social historian or simply for anyone curious about how paintings can be dated and their attribution confirmed, then the back of a painting can reveal huge amounts of evidence from plausible to incongruous techniques that do or don’t tally with what the painting on the front is telling us to makers labels for the panels or canvases the artists bought ready made to the labels from auctions or the labels and notes pasted on the back by collectors or by galleries. The reverse of a Dutch painting - a half-length portrait of an old man painted in the late 17th century on two planks of oak. The planks include sapwood, which is unusual and the curators conclude this suggests the at the panel was not of the highest quality. Note how the edges are bevelled to hold the panel in slots on the inner edge of the frame. 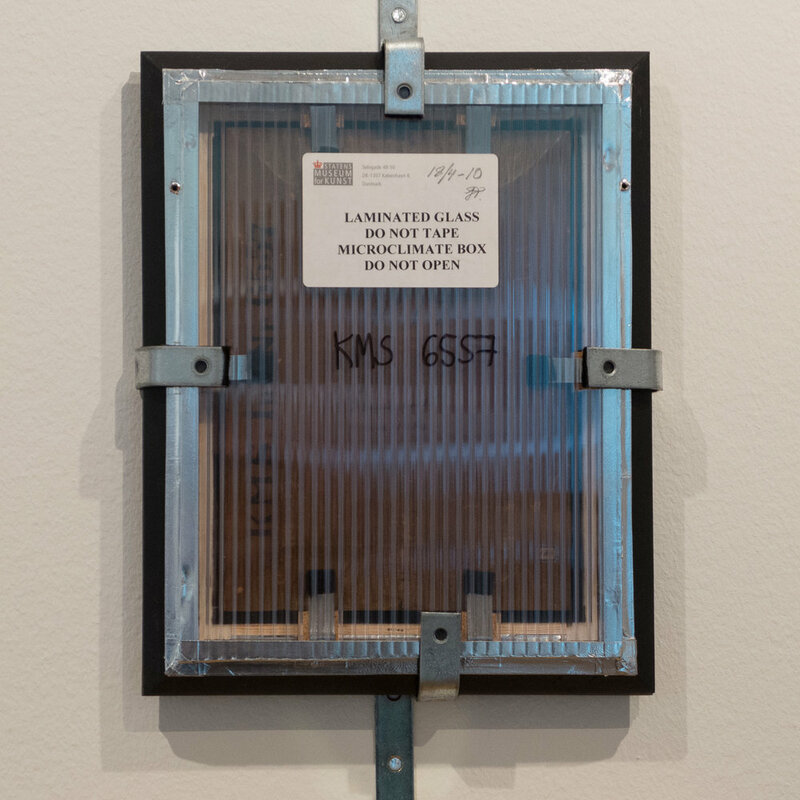 If a work is to go to an exhibition with several venues so might need a more controlled environment, then the gallery produces special frames where the work is sealed in a ‘micro climate’. A painting of Board Game Players by Pieter SymonszPotter (1597/1600-1652). On the back is a drawing of a castle or manor house and the seal of Schleswig-Holstein-Gottorf with the name of the artist. 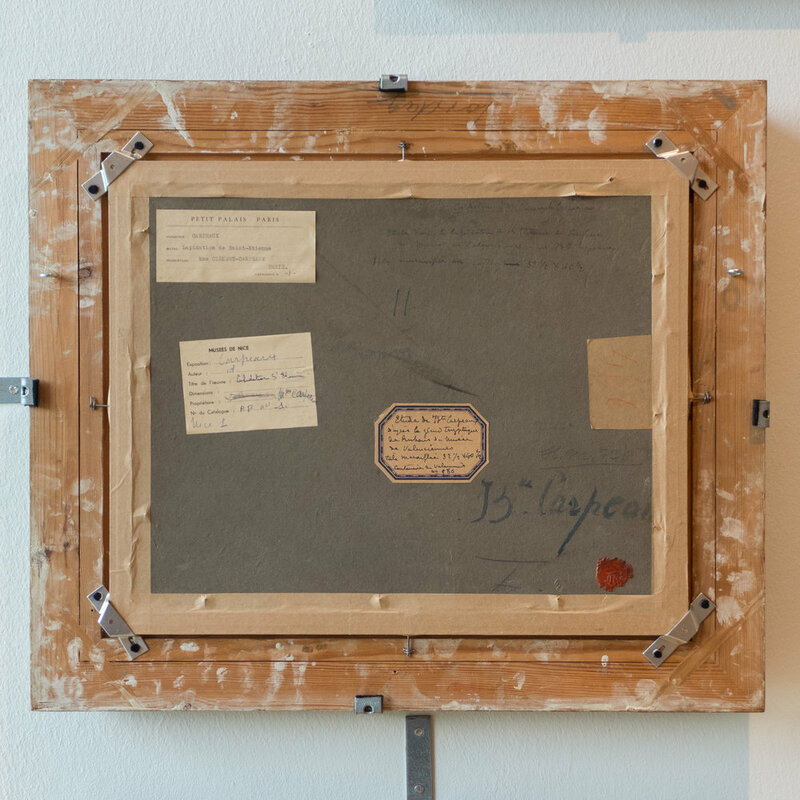 Labels on the back record that the painting by Carpeaux was shown in exhibitions at the Petit Palais in Paris and the Musees de Nice. The label on the back shows that A View from the Temple of Athena on the Acropolis from 1844 was painted by Rørbye on millboard from Robert Davy, a London frame maker and restorer, but as Rørbye is not known to have visited London then the board may have been bought from a foreign dealer and possibly while he was travelling. A trompe l’oeil by the Flemish painter Cornelis Gijsbrecht with what appears to be a canvas in a frame but all painted. Painting of working horses cut down and used for a new work. Untitled work from 1945 by Asger Jorn (1914-1973) The artist had returned from Paris and his style of work was going through a period of transition so, in effect, abandoning a work to paint a new work on the back might be seen to reflect this. The photograph on the left shows the painting on the front.